Includes a small mirror to assist in insertion and removal of lenses. Comes with a special screw-top lens case that fits inside the outer case. Please choose from over 12 different endangered species designs when ordering (Leopard, Tiger, Cheetahs, Panda, Dolphin, Orcas, Wolf, Sea Otters, Elephants, Lion, Polar Bear, Rhino). 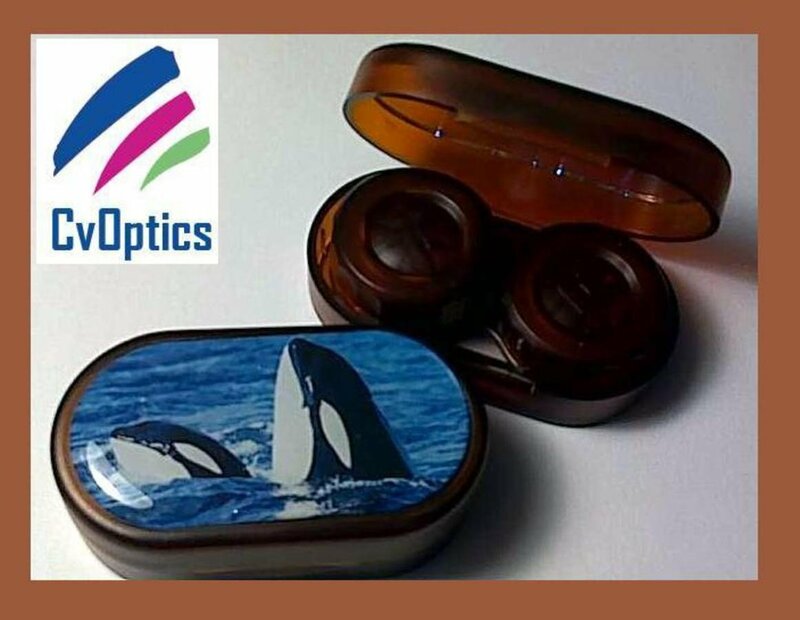 Cases are made from premium plastics perfectly suited for the use with Multi-Purpose contact lens solution and various types of contact lenses, and are FDA approved.